Backed by the Veteran's Administration, a Veteran's Aid and Attendance Pension may be available to offer you a cash benefit to offset your stay at Bickford. 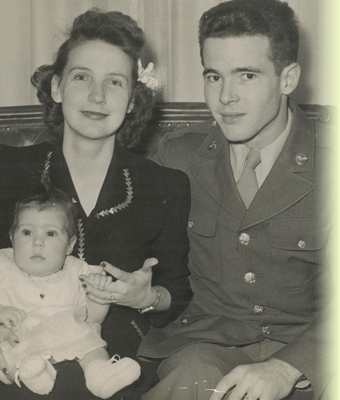 Wives of Veterans may be eligible, too! We partner with local organizations to provide education on available benefits, assist in the completion of applications and paperwork and even check on the status of submitted claims. The details can be overwhelming, but we're here in the foxhole with you. You had our back, now let us have yours. If you plan to use your long term care policy to offset your stay at Bickford, we can help with the details! We go the extra mile to help you get the benefits you deserve. From helping you start the process with initial claim paperwork to asking questions and getting the answers you need, we're there every step of the way. We'll even submit monthly invoices directly to your insurance company ensuring your policy benefits are there when you need them. Because when it comes to your care, our policy is that you deserve only the best. 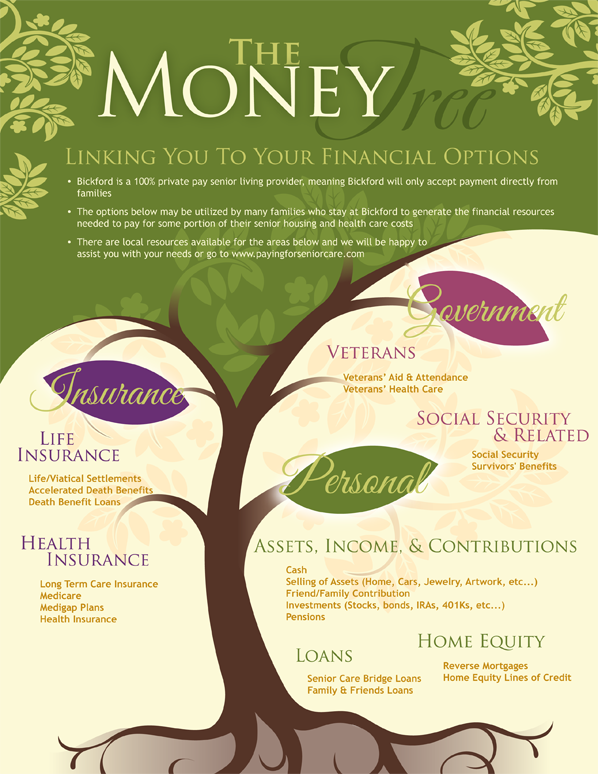 For most families, cost is a key consideration when thinking about moving a loved one into Bickford. You may be surprised to learn that many older adults spend more money living alone and paying separately for mortgage or rent, utilities, groceries, home care and transportation, than they would by living at Bickford. 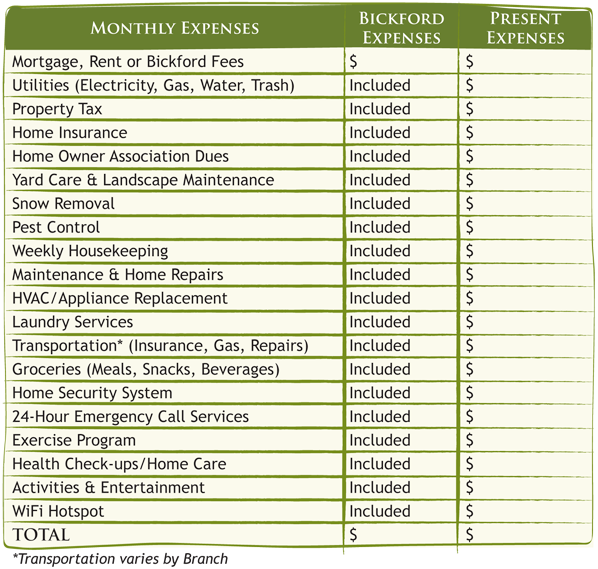 This worksheet will help you compare your current living expenses with that of living at Bickford. We want to make sure you are aware that a portion, or all, of assisted living expenses may be considered medical expenses and, therefore, are tax deductible. This letter is to provide you with general information about this issue. However, you must consult your personal tax advisor for further information. All of a resident’s assisted living expenses may be tax deductible as medical expenses for "long term care services" if the resident meets several criteria. First, the resident’s non-reimbursed medical expenses for the year must exceed 7.5% of his/her adjusted gross income. Second, the resident must have a cognitive impairment (such as dementia or Alzheimer’s disease) and/or require substantial assistance with at least two activities of daily living, which are: eating, toileting, transferring, bathing, dressing and continence. 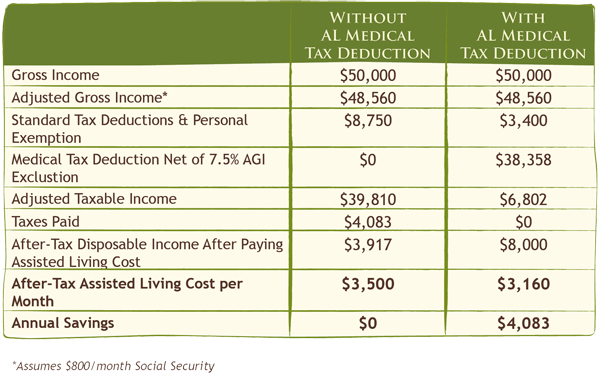 If the resident’s physician does not believe that the resident has a cognitive disorder or requires assistance with two or more activities of daily living, only a portion of the assisted living expenses may be tax deductible. In this situation, the portion of assisted living expenses that covers meals and lodging is not tax deductible. 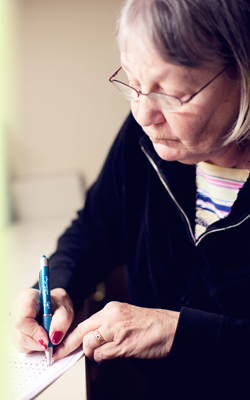 However, the portion of assisted living expenses that covers health related care may be deductible.